The explorer yacht designed entirely by inNave and delivered last summer has been nominated as finalist of the prestigious Superyacht Award, a ceremony that will take place next May in Florence. Find here the complete finalist’s list. 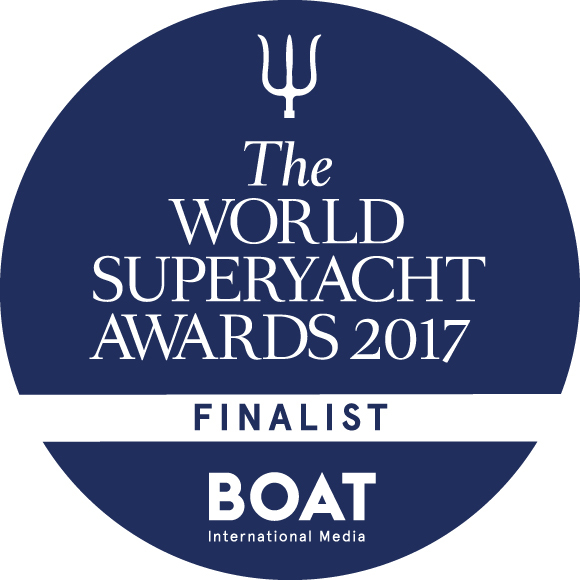 This international award, organized by the famous Boat International magazine, will happen from 12 to 13 May 2017 in Florence, in the beautiful historic framework of Palazzo Vecchio in Piazza della Signoria. There will be given different prizes for many yacht categories and Carolin IV is in the one dedicated to the displacement motor yachts below 500GT – 30m to 42.9m. Crossing our fingers for the final award ceremony, we all cheer for the beautiful Carolin IV!